OSMcast! MTAC Omega 2-28-2013 – OSMcast! 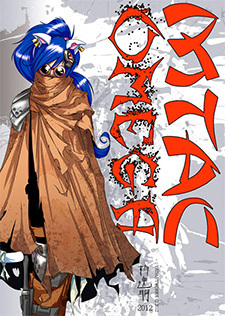 MTAC Omega. Another world, another time. And our first actual episode of 2013! Recorded in 2012! It is the interview we had with some of the wonderful people that run MTAC we recorded on site last year. Sadly the file is the most tsun tsun file we have ever had and as such is mostly unedited. But the staff we got to talk to are anything but dere as they tell us all sorts of things about last MTAC and this upcoming MTAC. Which you should totally go to. This entry was posted in Anime Cons, MTAC, OSMcast, podcast and tagged anime con, MTAC, podcast by Basil. Bookmark the permalink.